Theosophy has sometimes been described as “Esoteric Buddhism.” The Masters who wrote “The Mahatma Letters” called themselves Buddhists, as did their own Master the Maha Chohan, and as did H.P. Blavatsky. But they talk and teach about Atma while one of the central teachings of Buddhism is Anatta, i.e. the non-existence of self. How can this be reconciled? Is the Buddhist teaching consistent with the Theosophical teaching? Is the Theosophical teaching consistent with the Buddhist teaching? No, it isn’t consistent but there’s no reason why it should be, as Theosophy itself doesn’t claim to be any form of Buddhism, least of all exoteric Buddhism. (1) The UNIVERSAL Self – The One Absolute Infinite Divine Principle or Supreme Essence of Pure Consciousness Itself, which – being absolute and infinite – is therefore of necessity the true essential nature and highermost part of every being. This is what the Upanishads, the central scriptures of Hinduism, call Brahman and Atman (“Atma” or “Atman” = “Self” literally), which are just two words for one and the same “thing”…the One and Only THING, the One and Only REALITY. It is pure eternal Spirit and it is not “Self” in any egoic or individual or personal sense. This Higher Self is not an Ego or an “I” of any kind. We call it our True “Self” simply because it is our true nature, our true essence, the One Universal Self of All. This is forever eternal, unchanging, and unaffected. It is Be-ness rather than Being. (2) The INDIVIDUAL Self – The reincarnating Ego, the true “I” of our being, the permanent individuality, the Thinker, the Mind, which incarnates, reincarnates, thinks, acts, and creates and experiences Karma – its own self-created destiny – throughout its successive and periodical embodiments on the physical plane. This is the human soul, the Manas principle, and is what gives us the unshakable and ineradicable sense of “I-ness.” But the Ego has to learn not to identify itself with itself but rather with the True Self, the Universal Self, and act, work, and live for and as the Self of all creatures. (3) The PERSONAL self – Nothing more than a Karmic product, the aggregate of the Skandhas (personal tendencies, characteristics, inclinations, etc.) carried over in essence or seed form from the previous personality in which the Ego was incarnated. This is called the present personality, in contrast with the permanent individuality. There is nothing inherently sacred or divine about it…it is merely our own unwitting creation, our own Karmic progeny, which we now have to deal with, overcome, and master. Robert Crosbie describes the personality as being “the working off of defects.” This is also called the lower self, the lower ego, the personal ego, and is essentially the Lower Quaternary of the Seven Principles taught in Theosophy. HPB sometimes calls it “the false ego” and “the false personality.” It is not who and what we truly and really and eternally are and hence Hinduism calls it the Not-Self, the Anatman. But in Buddhism, Anatman in Sanskrit or Anatta in Pali has a different meaning and connotation, since almost all forms of Buddhism have a profound aversion to the very notion of there being any kind of Self or Ego. This tendency is most marked in Theravada Buddhism, which some call Southern Buddhism, the Buddhism of such countries as Thailand, Burma, Cambodia, Sri Lanka, etc. The Theravadins deny the Universal Self, the individual Self, and the personal self. According to them, there is not only no spirit but also no soul, no Ego or individuality which reincarnates and passes from life to life. Hence they teach that reincarnation occurs immediately after death, with no intermediate states because there is “nothing” and “no-one” to have such states. If asked what it is then that reincarnates, they will usually say something such as “Just a residuum of Karma” or “Nothing except some unexpended Karmic energy.” They insist that the human being consists only of the five skandhas and that there is nothing above or beyond this. But when challenged and asked something about this, such as “Who is it then that’s treading the Noble Eightfold Path and striving for liberation and Nirvana from life to life, if there is no enduring or surviving soul or self of any kind whatsoever?” they can never answer. When faced with the query “Why are you even bothering to practise Buddhism if there is no “you” of any kind whatsoever?” they usually change the subject or avoid answering…because they can’t answer without either admitting some sort of enduring self or admitting that the Theravada philosophy is blatantly illogical, unphilosophical, and erroneous, when it comes to this matter. Mahayana Buddhism, most popularly and prominently represented today by Tibetan Buddhism, openly admits the existence of what they call “a mental continuum” or “a mindstream” which is the individual part of us which passes on from life to life. But they too have an aversion to the idea of Self so they tend to avoid mentioning this mental continuum or mindstream as much as possible. From the few descriptions they give of it, it’s apparent that they mean the human soul. But if asked “Is this the soul then?” they would quickly deny it and insist that there is no soul, thus contradicting themselves. They just can’t bear the notion of soul, self, or ego, in any way, but they’re more philosophical and reasonable than the Theravadins. As for there being a universal and impersonal Absolute “Something” which is our true and higher Self, this is completely out of the question for Theravada Buddhists. The very idea of it offends and provokes them. In the world of Indo-Tibetan Buddhism, there are two main schools of thought on this matter…the Prasangika-Madhyamika and the Yogacharya. The Prasangika-Madhyamika holds full sway in today’s Tibetan Buddhism, particularly in the Gelugpa sect/school, who are the most tenacious proponents of emptiness and voidness, maintaining that the Ultimate Reality is emptiness, an emptiness which is even empty of emptiness itself. This perspective is as philosophically and logically unsustainable as the Theravada denials of any form of self but Prasangika-Madhyamika thrives on false logic and unflinching denials. HPB has described it as an exoteric travesty, sophistic nihilism, and an anti-esoteric and highly rationalist system of thought. Ironically, it’s the Gelugpa – the yellow hat – branch of Tibetan Buddhism, founded in the 14th century by Tsong Kha-pa, with which HPB and the Masters of the Trans-Himalayan Brotherhood identify themselves. This would indicate that there’s an almost entirely unknown esoteric undercurrent within the Gelugpas which teaches something different from this. So-called scholars and academics trace the Yogacharya philosophical worldview back to Aryasangha, an Indian Mahayana Buddhist Master who they say lived around 1,500 years ago. In “The Theosophical Glossary,” however, HPB says that there were two Aryasanghas…the one who lived 1,500 years ago she calls “the pseudo-Aryasangha,” who tried to pass himself off as being the original one, who had lived 1,000 years before and who had been an Arhat and a direct disciple of Gautama Buddha. She says that there are thus two Yogacharya schools. The real Yogacharya school has always been entirely secret and esoteric and was founded by the original Aryasangha to perpetuate the actual esoteric teachings and secret philosophy of Buddha himself, which he had taught solely to a select group of his Arhats. Owing to persecution from the Hindu Brahmins, this school eventually moved its base to the Trans-Himalayan region. The later Yogacharya school of approx. 5th century A.D. is the only one which is known of by the world at large. The existence of an earlier Yogacharya school would be denied by all because there’s no discernible evidence available of its existence or its teachings. But why would there be and how could there be, if it’s entirely esoteric and if its teachings and practices are imparted to disciples only under a severe pledge of secrecy and after a lengthy period of testing and probation? HPB writes that the later Yogacharya school has some similarities in its teachings with the original one but they are mixed up with various sorts of erroneous notions and false practices. Although a few aspects of Yogacharya thought exist in some parts of Tibetan Buddhism today in diluted form, it’s now extinct and defunct in terms of being a living and active school of philosophy, like the extinct Sankhya philosophy in Hinduism. Tibetan Buddhists cannot bring themselves to accept Yogacharya outright. Why? Because its main defining factor is that it asserts and upholds the existence of soul and Self. It teaches that the Ultimate Reality is not Emptiness but Fullness…that there is an Absolute Divine Principle and that it is Adi-Buddhi, the One Element of Primordial Wisdom, which is likened to an absolute, infinite, undefiled, undecaying “Expanse” like Abstract Space, and which is the innermost essence and true Self of each and all. It is the Tathagatagarbha – “Buddha Nature,” “Buddha Element,” “Buddha Self” – within us, which has become obscured and hidden through the mental poisons and passions and desires which we have allowed to grow up within our soul. But it can be realised and we can re-become it in consciousness. “There IS an Atman,” assert the Yogacharya scriptures and the Tathagatagarbha sutras, and the Absolute is empty only of everything other than Itself. It’s essentially the Atman-Brahman doctrine of Hinduism, just expressed in Buddhist terminology, along with the Bodhisattva ideal and central emphasis on Gautama Buddha as the great Teacher and the Supreme Nirmanakaya. Many people think and say that the whole of Buddhism teaches “anatta” but this is usually because they’ve never heard of Yogacharya Buddhism. HPB states in the preface to “The Voice of the Silence” that The Book of the Golden Precepts, from which it comes, is a Yogacharya text. In her article “Old Philosophers and Modern Critics” she expressly states that the Stanzas of Dzyan – on which “The Secret Doctrine” is based – belong to “the Esoteric Yogacharyas.” The phrase “Occult students of the Aryasanga School” is also used in “The Secret Doctrine” and one can find much praise and numerous glowing references to Aryasangha and the Yogacharyas throughout her writings, particularly “The Theosophical Glossary” which makes some statements which imply the highest esoteric knowledge and powers as belonging to the Initiates of the Yogacharya school. This must mean the secret esoteric Yogacharya School of the original Aryasangha, since there is no other extant Yogacharya school. Terms such as Alaya, Alaya-vijnana, and Ashta-vijnana, used in “The Voice of the Silence” and by the Masters in “The Mahatma Letters,” are exclusively Yogacharya terms. “The only refuge for him who aspires to true perfection is Buddha alone.” A handwritten note that accompanied one of the “Mahatma Letters” to A.P. Sinnett from the Master K.H. and Master M. It was found to be a quote from the Ratnagotravibhaga, also known as the Uttara Tantra, a Yogacharya scripture attributed to Aryasangha, and which has recently been translated and published in English. It is one of the central Tathagatagarbha or Buddha Nature scriptures. And when one considers that in many places throughout the Theosophical literature, the teachings of the Masters and HPB are referred to as “the Arhat Esoteric Philosophy” it becomes quite clear. Theosophy itself is something universal…the Esoteric Teaching which underlies all the world’s religions. But the Masters – those of the Trans-Himalayan Brotherhood at least – and HPB identify themselves without hesitation as Buddhists…not any kind of exoteric Buddhists but esoteric Buddhists, adherents of a system and philosophy which is kept entirely secret but which may well be the truest and most powerful thing in the whole world. 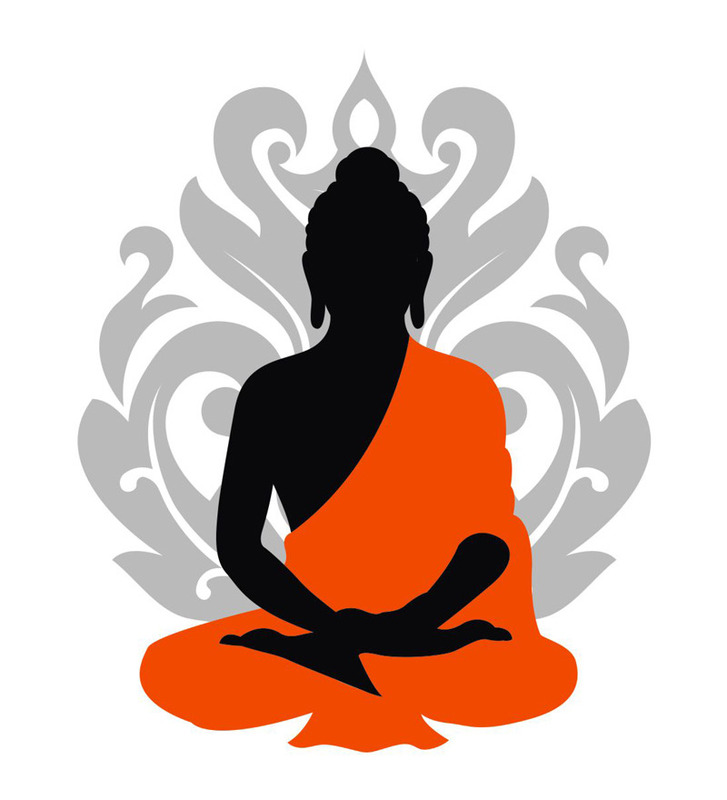 The concept of Atman can thus be found in Hinduism, Buddhism, and the esoteric teachings of any religion, for it is universal Truth, which Theravada Buddhism is not. SOME RELATED ARTICLES: Theosophy: The Ancient Wisdom, 12 Things Theosophy Teaches, Atman – The Higher Self, The Personal Self in the Light of Theosophy, The Two Paths, Misconceptions about Buddhism, The Four Noble Truths, Blavatsky and Buddhism, Praise for H.P. Blavatsky and Theosophy, Maitreya in the Light of Real Theosophy, The Great Tsong Kha-pa, Alaya – The Universal Soul, Theosophy and the Tibetan Book of the Dead, The Letter from The Maha Chohan, What is a Chohan?, The Masters and Madame Blavatsky, Who are you, Madame Blavatsky?, A Brief Discourse on the Paramitas, and Should Theosophists get involved with Tibetan Buddhism?